Ummm… Isn’t It Supposed to Be “Happy” Mother’s Day? 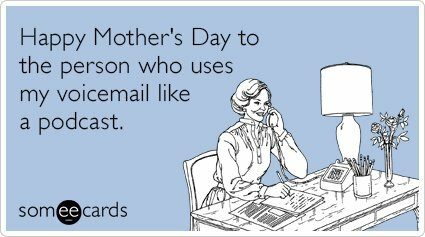 It’s Mother’s Day today. Newsflash to everyone this snuck up on…better run to the grocery store for flowers and a card quick. I’m a mom. Many of my readers and friends are mothers. So of course I planned to post just a quick, simple “Happy Mother’s Day” message on my social media. Usually this just involves a graphic and the words, but this year I thought I’d mix it up and include a fun or interesting article link. Right? Don’t get me wrong. There are women who are hurting today who should absolutely be acknowledged and given love. And yes, this holiday comes around every single year (and okay, could be a boring one), so perhaps there’s not a ton to say about it that’s new. However, I honestly think this has more to do with our society and the bent toward negativity. My mother was a high school English teacher. She talks about a writing exercise where she has her classes think of the best moments in their lives and the worst and write them out in a list. When writing their worst moments, the students could fill pages. When writing their best memories, they struggled to come up with even a handful. These news articles, I feel, are a reflection of that thing inside all of us that says why focus on the good when we could focus on the bad. I’m not saying that there isn’t tragedy around days like today that needs to be included. It’s not that I want only positive stories, either. How about a good mix, though? Out of the 15 articles on the first page of the search on a day which really should be about happy, 8 were depressing or negative in some way, 1 was about how Mom’s should celebrate like Dad’s instead (guess we were doing it wrong all this time), 2 were about the weather on Mother’s Day (because apparently there’s nothing else to say about today), 2 were about gifts, and 2 were actually positive (one of which was from Lancaster Farming rather than a national news outlet). Only 13% positive news articles in my first page of search results (because I don’t count weather or advice on gifts as positive news). On Mother’s Day. Are you kidding me? I’m calling you out news media. Especially CNN, USA Today, and the Los Angeles Times (which had not 1 but 2 depressing articles up in the top 15 search results for the topic this morning). I went to the home pages of those 3 publications, just HOPING something positive might show up about Mother’s Day. Here’s what I found. Really? 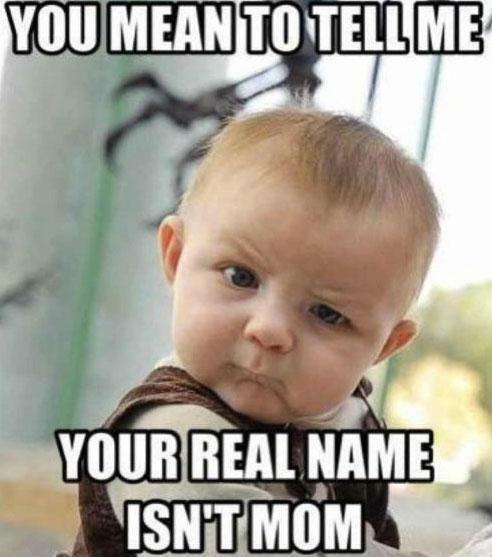 The best you could come up with was baby names? Do you have NOTHING positive to say about Mother’s Day? To say I’m disappointed is a gross understatement. I’m also less inclined to use those sources (especially CNN – jeez guys) for my news, because if you can’t find one good thing to say about today, of all days, I don’t need your negativity in my life. And you made me rant…on Mother’s Day, only adding to the negativity. Dammit! 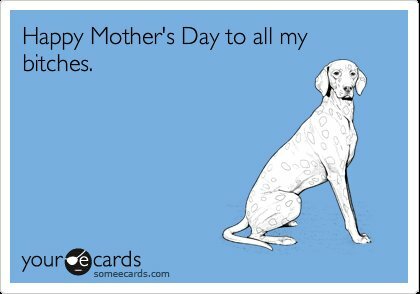 To bring some positivity to this, I was going to give a list of funny memes to all the moms out there. In an ironic twist, most of the memes in the lists I found are (gasp) sarcastic and not exactly positive.